Zombies are ever popular, and endlessly entertaining as a game enemy. The reason? They're a blank slate, something that looks human, but has all the characteristics that suggest otherwise in any given situation. The Resident Evil series may have started the craze all those years ago, but there are games that elevate the zombie craze to all new heights. One of those games is called Zombie.io Madness – and we’re reviewing it for you today! What is Zombie.io Madness all about? 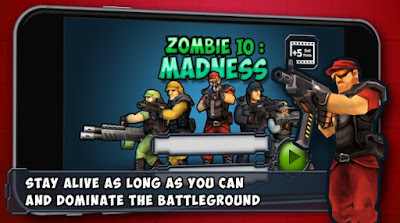 Zombie.io Madness is an online multiplayer zombie online shooter game that lets you play along with your friends, and one that challenges your shooting and fighting skills. With quick real-time battles with real people, beautiful design and on-screen dual stick controller, this game will definitely become your newest addiction. We chose this awesome game because it comes with a very challenging and fun multiplayer gameplay. You can choose to host or join a game, improve your skills, get more points and make your own high scores. All you got to do is dominate the battleground by killing as many zombies and enemies as possible, and to stay alive as long as you can. The game provides its players with a global game leaderboard, a mini map, ping meter and gamer skills such as Player Speed, Health Regen, Max Health, Bullet Speed, Fire Rate, Damage, and so much more. 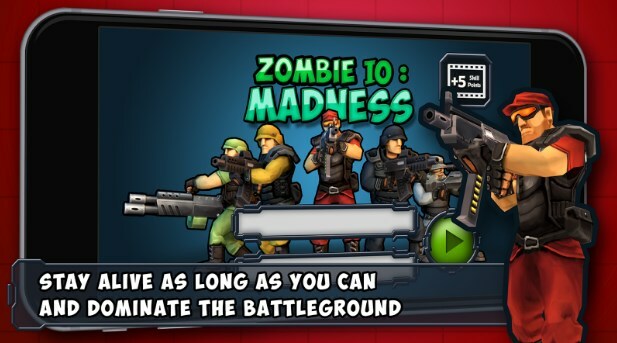 Get ready to shoot and clean up this wasteland full of zombies, download Zombie.io Madness for free from the App Store or from Google Play.